You had a dream about a Smartphone app: here it comes! After several months of "real-life" trial (thanks to some of you), the application NaturaList is now ready for your use! With NaturaList, recording sightings of birds and many other types of animals (mammals, amphibians, reptiles, various insects, etc.) has never been so easy. Wherever you are, your records contributes to the local portal in France or in Europe. If there is no portal locally, you can still retrieve your data in various formats for your personal use or to send it to the local group of naturalists of your choice: for this, visit the data archive with your login and password. This way, all you need is a single app for all your records in Aquitaine but also anywhere else in Europe. You do not need a connexion in the field since you can use off-line maps stored in your device. With a connexion, you can check your list of sightings or (even more useful) the last sightings around you as well as the last sightings of rare species. Required device: a GPS-enabled smartphone or tablet running with Android. 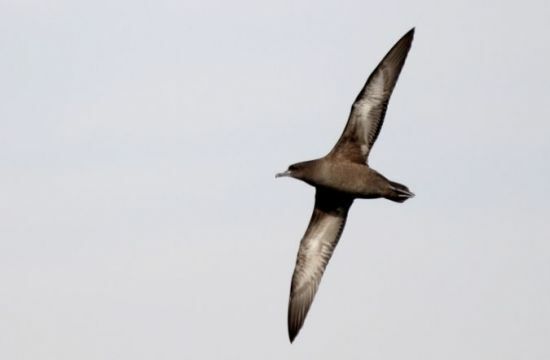 On 5 September, a day at sea from Saint Jean de Luz is organized to discover, observe and understand pelagic birds: puffins, skuas, gulls, crazy, petrels ... and occasionally dolphins and whales ... This release is for anyone curious or passionate person. Duration: 8:00 a.m. to 4:00 p.m. The registration form must be returned to the LPO Aquitaine, 433 Chemin de Leysotte, 33140 Villenave d'Ornon, accompanied by the payment. The synthesis of the 2012 WetLands International Census is available. In 2012, mid-January waterbird counts have been made on 423 sites, or a 98% coverage of the described functional count sites. Total national count of Anatidae and Coots was 1,302,543 birds. A light decrease occurred with respect to 2011 count. Some species occur in France with a high proportion of the flyway populations (NW Europe and W Mediterranean). Some sites meet thresholds of international importance (Ramsar criterion nr 6) for the following species: Shoveler (10 sites), Pochard (7 sites), Gadwall (5 sites), Pintail (6 sites), Shelduck (8 sites), Common Teal (6 sites) and Dark-bellied Brent Goose (11 sites). Relatively low numbers of the following species have been counted: Shelduck, diving and sea ducks, swans and grey geese. Although, high numbers of Brent Goose, Gadwall, Mallard and Common Teal have been counted. 31 sites had more than 10,000 ducks and coots. These main sites gathered more than 64% of the total national count. Waterfowls tend to concentrate on a small number of sites these last three years, in opposite to the trend between 2000 and 2009. 30 sites met, or exceeded at least one numerical threshold of the Ramsar criteria, showing the international importance of wetlands, or one more than in 2011. 29 of them had more than 1% of the flyway population for at least one species (criterion n° 6 of the Ramsar Convention). Among them, 12 had more than 20,000 Anatidae and coots (crit. n° 5 of the Ramsar Convention). IUCN (International Union for the Conservation of Nature) has just released a report on the 100 most threatened species in the world. If you are discovering this site while visiting Aquitaine, please do not hesitate to register and transmit your sightings of our fauna. It is free, and the fresh outlook that you'll be bringing on our regional fauna can only be beneficial! If you are not familiar with the VisioNature family of biodiversity portals, please visit "Who are we? ", "User guide" (sorry, only in French so far...) and "Datasheets" (also only in French) in the left-hand column. You will find VisioNature portals elsewhere in France and Europe: see the link below and also "Who are we?". Have a nice stay, and congratulations for choosing Aquitaine! This morning a new VisioNature portal was opened in Languedoc-Roussillon! The Lorraine VisioNature portal is open! There is currently an unprecedented influx of this nordic subspecies in the NE half of France. Please report any sighting of Aegithalos caudatus caudatus so that they appear in Faune-Aquitaine.org and also in the national portal where the influx is recorded. Any complementary documents such as photographs etc. are welcome. Beware of natural color abnomalities in some individuals of the common subspecies that may induce confusion with the nordic subspecies. Note on the wintering of Osprey in Aquitaine (France). 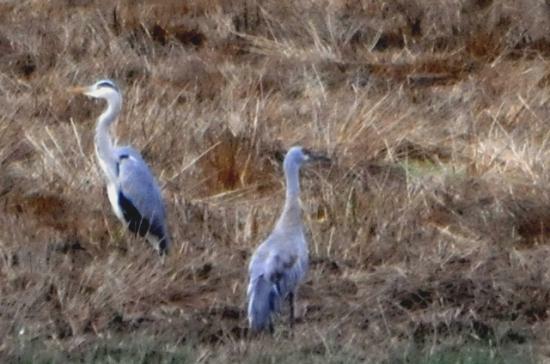 The famous crane was observed october, the 11th, at Pontonx/Adour Reserve (Landes, SW of France).